Our Site is owned and operated by Hummingbird Collection, a limited company registered in England under company number 09078748, whose registered address is 7 West Stables, Foundry Lane, Hayle, TR27 4DW. 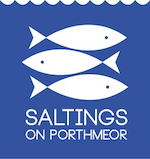 Our Data Protection Officer is Sam Marnham, and can be contacted by email at hello@saltingsonporthmeor.co.uk, by telephone on 01736 806 166, or by post at 7 West Stable, Foundry Lane, Hayle, TR27 4DW. By using Our Site, you may also receive certain third party Cookies on your computer or device. Third party Cookies are those placed by websites, services, and/or parties other than Us. For more details, please refer to section 4 below. Our Site uses analytics services. Website analytics refers to a set of tools used to collect and analyse anonymous usage information, enabling Us to better understand how Our Site is used. This, in turn, enables Us to improve Our Site and the services offered through it. You do not have to allow Us to use these Cookies, however whilst Our use of them does not pose any risk to your privacy or your safe use of Our Site, it does enable Us to continually improve Our Site, making it a better and more useful experience for you. Our Site uses remarketing services. Remarketing services refers to an increase in adverts you might see relating to Our Site. This is made possible by a Remarketing Cookie and we use these adverts to try and encourage you back to our site. We are unable to proactively reach out to you as the whole process is entirely anonymised. Before Cookies are placed on your computer or device, you will be shown a pop-up requesting your consent to set those Cookies. By giving your consent to the placing of Cookies you are enabling Us to provide the best possible experience and service to you. You may, if you wish, deny consent to the placing of Cookies unless those Cookies are strictly necessary; however certain features of Our Site may not function fully or as intended. In addition to the controls that We provide, you can choose to enable or disable Cookies in your internet browser. Most internet browsers also enable you to choose whether you wish to disable all Cookies or only third party Cookies. By default, most internet browsers accept Cookies, but this can be changed. For further details, please consult the help menu in your internet browser or the documentation that came with your device.